See here for the film: https://www.youtube.com/watch?v=ljglQk1umvI. Skeptics- Who are they? Why are they wrong? And why does it matter? 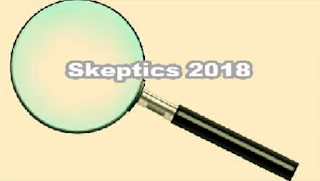 All people who look into paranormal, alternative or conspiratorial matters will, at some point, come across the skeptics; people who dismiss and deny everything that you are interested in. Turn your critical eyes on those who claim to be critical. This is a new studio version for 2018 of a live lecture I've done several times. See here for more information: http://hpanwo-tv.blogspot.co.uk/2017/01/the-great-skeptic-debate-part-2.html.